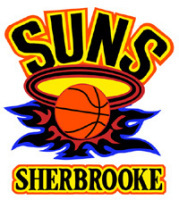 Electro Sports would like to announce the exciting new partnership with the Big V Championship Sherbrooke Suns. Sherbrooke, who have both a fantastic juniors and senior program have two senior men's teams, (Big V Championship and Victorian Youth Championship Men) and one senior women's team (Big V Championship). Electro Sports will be supplying our sporting products, including our Premium Sports Strapping Tape for the 2014 season in a partnership that we hope will continue for many years into the future. We wish the Sherbrooke Suns the best for the 2014 year, and will keep you up to date with any news from the club. » Welcome to Electro Sports!